Second Corinthians shows the value of earthly trials—God's power at work in our weakness, inner renewal, eternal treasures. Throughout the history of Christianity, many great minds have devoted themselves to the study and exploration of the Bible in pursuit of spiritual insight. Believers today are fortunate to benefit from this impressive history of inquiry and inspiration. 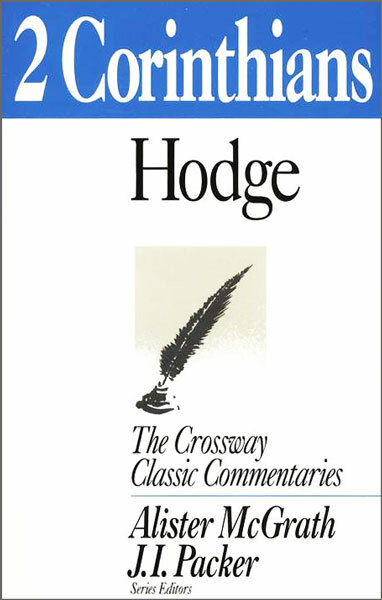 The Crossway Classic Commentary series is a collection of book-by-book biblical commentaries covering the Old and the New Testaments, written by intellectual and spiritual giants of the Christian tradition and carefully translated and adapted for the modern reader. Authors include ministers, preachers, and scholars such as Martin Luther, John Calvin, Charles Hodge, Matthew Henry, and more. Each title includes an introduction to the biblical text by series editors Alister McGrath and J. I. Packer.